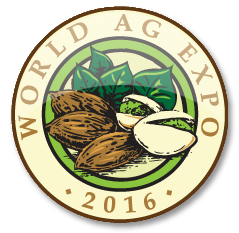 Cornell is excited to exhibit at the World Agricultural Expo, in Tulare, California. The show is open from Tuesday, February 9, through Thursday, February 11, 2016. The 49th Annual World Ag Expo features vendors and attendees from around the world, gathered to learn about the latest in farming practices, agricultural equipment, and livestock handling techniques. Stop by the Cornell Pump Booth at NS18, to see our line of agricultural and manure pumps, and meet our friendly staff. Hours for the expo are opening at 9:00 a.m. all three days, and closing at 5:00 p.m. on Tuesday and Wednesday, and 4:00 p.m. on Thursday. Cornell Announces New Pump-Flo Connect! Operating Point Reporting Based on Intersection of System Resistance Curve and Selected Performance Curve – Updated reporting shows the head and flow on the selected curve where the pump will operate in a system characterized by the default resistance curve. All-New Optional Reporting of Speed at Design Flow – Allows the user the option of calculating the pump speed that would be required to meet the design flow rate. Two Ways to Dynamically Change Speed and Impeller Diameters on Performance Curves – Elevator buttons can be used to change speed and impeller diameters on performance curves, as well as our original text box functionality. Multiple Speed Curves with Design Point, Efficiency, NPSHr, Power, and SRC’s – Create a multiple speed curve from a fixed speed curve and add your design point, efficiency, NPSHr, Power, and SRC’s to your newly created multiple speed curve. Enhanced Manual Selection Functionality- Users can create a selection list manually by selecting pumps using the following criteria: size, speed, and type. Pump-Flo Connect still offers users the ability to enter conditions and review Cornell pumps as it always has, as well as create professional data sheets showing the operational conditions and pump curve. Connect is cloud-based, and can be used on devices with an internet connection. Connect requires users to create a log-in if they are new, or re-login to access the system if they are a current user. Cornell also maintains a desktop version of Pump-Flo, which once downloaded, can be used in locations where internet connectivity is unreliable or non-existent. To access either of these great sizing and selection programs, visit the Support Page of cornellpump.com. 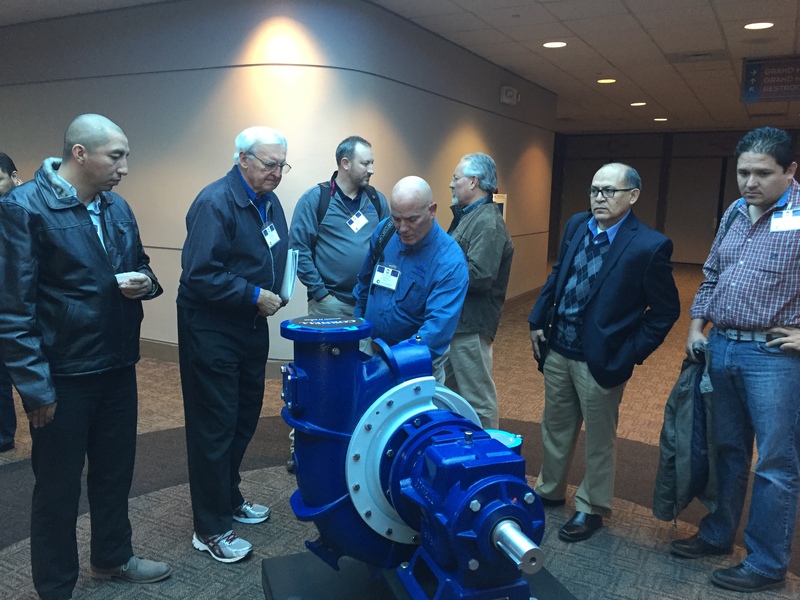 Cornell Pump hosted the Will H. Knox Chapter of Refrigeration Engineers and Technicians Association (RETA) meeting on Monday, January 18, 2016. 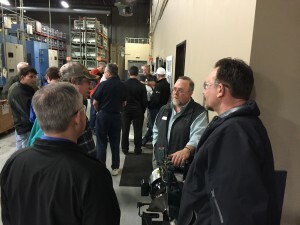 More than 25 attendees toured Cornell Pump, examined at our Arctic King and CB Open Drive refrigeration pumps, and posed installation questions to pump assemblers and inside sales staff. More than 6,000 individuals and companies maintain RETA memberships, and the association is dedicated to the professional development of industrial refrigeration operators and technicians. Cornell Pump is proud of our long history of involvement with RETA, and looks forward to again hosting events and refrigeration seminars for members in the future. Cornell staff providing pump training to more than 80 participants in El Paso. Slurry, mining, municipal, and cutter products were covered extensively. If you’re interested in lunch and learns or trainings, please let us know. We thank Clowe & Cowan for their gracious hospitality. Derek Petersen, Cornell Pump industrial manager presents an Amazon Fire HD tablet to Scott Boleyn, of Ace Refrigeration. Attendees at the RETA show just concluded in Milwaukee could enter to win by stopping at the Cornell booth. 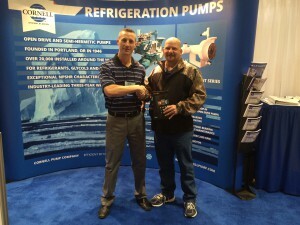 Cornell showed our innovative Arctic King series and our robust CB series of refrigeration pumps. Learn more about Cornell refrigeration pumps on the Cornell website. Learn about the innovative Cycloseal® System from Cornell Pump and how it extends the life of your pump seals. “Flushable” materials cause serious problems for municipal pumping stations, as the materials clog pumps and cost a lot in repairs and downtime. The Salmon Creek Wastewater Treatment Plant in Clark County, Washington, saved hundreds of dollars a day using Cornell Cutter-Auger pumps to virtually eliminate ragging problems and improve flow.